Emergency Notification: Coping With Emergencies When You Have A Hearing Loss for Emergency Alerts and Community Warnings. People with hearing loss must prepare for emergencies to meet their individual needs. They often cannot hear alarms, cannot follow verbal directions or, in many cases, speak. In the dark they are literally lost. Congress passed the Americans with Disabilities Act (ADA) in 1990 to establish a clear and comprehensive prohibition of discrimination on the basis of disability. Title II of the ADA prohibits discrimination against people with disabilities in state and local government services and programs. Title III prohibits discrimination in places of public accommodation, and services and programs provided by those places of public accommodation. Section 504 of the Rehabilitation Act mandates that entities that receive federal funding must not discriminate on the basis of disability. Police officers, fire fighters, emergency medical service personnel (EMS) and other emergency workers cannot discriminate against people with hearing loss; they must provide needed services. In addition, where practicable, they should provide accommodations such as sign language interpreters and assistive listening devices. State and local laws should always be checked, as they are often more demanding than the ADA. Training, sensitivity and awareness help ensure equitable treatment of people with disabilities. Appropriate training is needed to make appropriate decisions. Police officers are required by the ADA to ensure effective communication with individuals who are deaf or hard of hearing. (See inserts; "Tips for Communicating with Someone who is Deaf and uses Sign Language." "Tips for Communicating with Someone who is Hard of Hearing or Oral Deaf" and "Tips for Communicating with Someone who has a Vision and Hearing Loss".) The ADA also requires the expressed choice of the individual with the disability, who is in the best position to know his or her needs, should be given primary consideration in determining which communication aids to provide. In an emergency situation, when the safety or welfare of the public or the person with a disability is paramount, emergency personnel may use their discretion. For example, normally a professional sign language interpreter is used to provide communication with a deaf individual in a station house. However, if there is an automobile accident and a family or friend is available to interpret, the emergency personnel may rely on the people available. Common sense for both parties is the key. Telephone emergency services, including 911 services, shall provide direct access to individuals who use a Text Telephone/Telecommunication Device for the Deaf. (TTY/TDD). Any basic emergency service - police, fire and ambulance - that is provided by Public Safety Agencies, including 911, or other access numbers to emergency services, is covered. Direct access must be provided to all services in the system, including those such as poison control information. These services must be as effective as those provided to other telephone users. Therefore an agency must provide a sufficient number of TTYs/TDDs to ensure that all TTY/TDD calls are answered directly, not via the state Relay Services (Relay requires connecting first to the Relay service and then connecting to 911 or another emergency access number. This requires extra time when time is critical). Personnel must be trained to use a TTY/TDD. Emergency services not provided by public entities are not subject to the requirement for direct access under Title II. However, Section 504 of the Rehabilitation Act mandates that entities receiving federal funding must not discriminate on the basis of disability. If the emergency service is being provided by a hospital that receives federal funds, including Medicare or Medicaid, the hospital must provide equal access to emergency services. As of May 2000, the Federal Communications Commission (FCC) requires broadcasters to provide equal access to all video programming during emergencies. If it is provided aurally, it must be provided visually with open captioning, scrolling or crawls and must not block the closed captioning already showing on the screen. The broadcasters are required to provide information regarding: areas affected, evacuation orders, approved shelters or the way to take shelter in your own home, how to secure personal property, road closures, and how to get relief assistance. This requirement covers broadcasters, cable operators, and satellite television services. If your local station has not been captioning emergency broadcasts, follow the complaint procedures below. The name of the programmer (e.g. News Channel 13), and the video programming distributor (e.g., AME Cable of Maplewood) against whom the complaint is alleged. The date and time of the alleged violation. Details about the problem so that the distributor may correct or otherwise respond to the complaint. For more information on the FCC's captioning rules and requirements, go to www.fcc.gov/cgb and click on closed captioning. To receive regular FCC consumer information via email, send an email to: subscribe@info.fcc.gov. Type the following in the subject line: subscribe fcc-consumer-info Your first name Your last name. To view how other organizations are using this phone application, please visit our Phone Warning Applications web page. An example of an emergency alert message that you can play to your community can be heard by clicking on this Emergency Alert Message button. 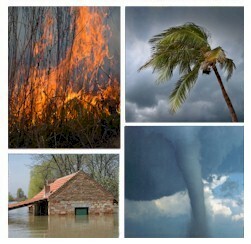 Contact DSC for a FREE analysis and quote and to learn more about our emergency alert service and systems.